My Opinion: 6.5 || A light, pleasantly cheeky romantic comedy. It’s erratic and lumpy in places, but that’s a welcome contrast to the synthetized rom-com pablum that so often gets served today. It helps very much that Jean-Pierre Léaud brings a relaxed, insouciant charm to the role of Antoine and that Truffaut keeps the shambling story moving at a good pace. 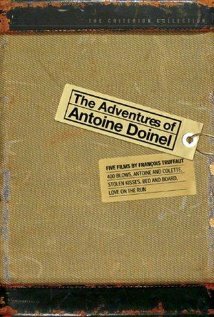 SYNOPSIS (Courtesy of IMDb): After being discharged from the army for insubordination, Antoine Doinel visits his former girlfriend Christine Darbon, and her father finds a temporary job of night watchman for Antoine in a hotel. The naive Antoine is deceived by a private eye in his first night shift, and fired on the next morning. The investigator invites the clumsy Antoine to work in his company, where he is assigned for some minor jobs, until he has to investigate why the owner of a shoes store, Mr. Georges Tabard, is detested by his employees. Meanwhile Antoine falls in love for the gorgeous Mrs. Fabienne Tabard. Strengths: Truffaut and the cast are serving smiles and good feeling more than laughs, which is just fine — bonhomie prevails through the film, and it’s good, lighthearted fun. There are a few odd moments that fall flat, but it’s a successful effort overall, and the free-love tone feels more delightful than dated. There are elements that seem to anticipate The Graduate (a more ambitious movie), and the film’s “easy come, easy go” ethic is cohesive and genuine. Characters/Performances: Jean-Pierre Léaud is a pleasure as the disarmingly incompetent Antoine. Despite his repeated bumbling, it’s not a slapsticky performance or too eager to please. The protagonists in today’s Hollywood romantic comedies always seem to have personalities designed by a computer, with a collection of quirks chosen from a drop-down list. There’s none of that here, with Léaud providing a suave, mildly disheveled handsomeness — the kind of charm that can only come from someone who’s not trying to be charming. The rest of the cast is similarly good, everyone perfectly comfortable inside the gently daft story. Best Moment: Wonderful opening that instantly wins our affection for Antoine and establishes the film’s light, impetuous tone.